FLINT, MI (December 12th, 2018) A group consisting of top business leaders, world class professional athletes, well respected journalists and leading entrepreneurs have joined together to launch a newly formed accelerator group called 100K Ventures that will invest in early-stage companies in Flint, Michigan. The group was created by 32 Ventures founder Robert Wolf, who partnered with Phil Hagerman, the founder of Skypoint Ventures, a Flint based real estate investment and venture firm. Earlier this year, a delegation led by Congressman Tim Ryan (D-Youngstown, OH) and Congressman Ro Khanna (D-Silicon Valley, CA) gathered a group of top venture capitalists on a bus tour through the Midwest aiming to bring venture funding and influencers to the Rustbelt. The delegation met with entrepreneurs in Akron and Youngstown, Ohio; Detroit and Flint, Michigan and South Bend, Indiana to hear and share ideas and experiences on best practices for startups and early stage investing. While in Flint, the group toured an entrepreneurial hub named the Ferris Wheel a space owned and operated by Phil Hagerman. The building houses 100K Ideas a 501c3 non-profit dedicated to help entrepreneurs take their businesses to the next level. 100K Ideas provides a helping hand in business development to anyone regardless of their prior experience or background, while ranking the business viability throughout the process. 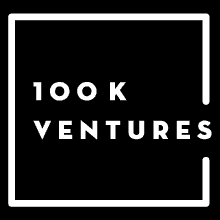 100K Ventures, the newly formed for profit accelerator group will invest in early-stage companies who receive a high assessment from the 100K Ideas pipeline. The Founding members of the group include current NBA star Draymond Green, former NFL star Victor Cruz, Minority Owner of the Philadelphia Eagles Christina Weiss Lurie, former Philadelphia Mayor Michael Nutter, Girls Who Code Founder Reshma Saujani, NFL Hall of Famer Michael Strahan, MLB Hall of Famer Frank Thomas, founder of the Phenomenal Woman Action Campaign Meena Harris, journalist and executive producer Soledad O’Brien, Financial Advisor Jaime Taicher as well as 32 Ventures’ Robert Wolf and Flint’s Skypoint Ventures’ Phil Hagerman. The founding members of the 100K Ventures Flint team has met with Congressman Dan Kildee, Mayor Karen Weaver and the Flint Chamber of Commerce and look forward to collaborating with both the private and public sector. Over time, 100K Ventures group will look to expand nation-wide and continue to grow our platform by advising and investing in early stage and startup companies in other underserved communities. 32 Ventures is the private investment arm of 32 Advisors – a boutique advisory firm founded by Robert Wolf, Former Chairman and CEO of UBS Americas. Skypoint Ventures is a Flint-based venture capital firm dedicated to supporting new businesses through funding, providing resources and creating connections within the industry and community. Founded in 2014, Skypoint has created opportunities through their Dryden and Ferris buildings in Flint, and other properties across Michigan.